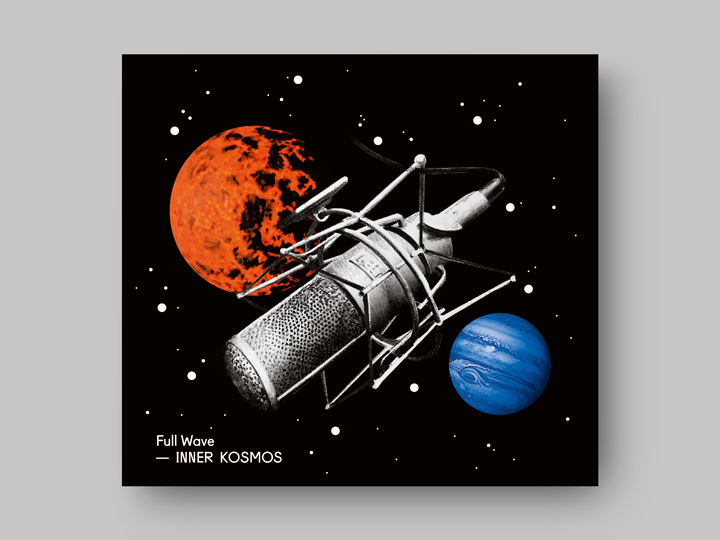 Layout for the Full Wave band (brit pop, indie) album ‘Inner Kosmos’. 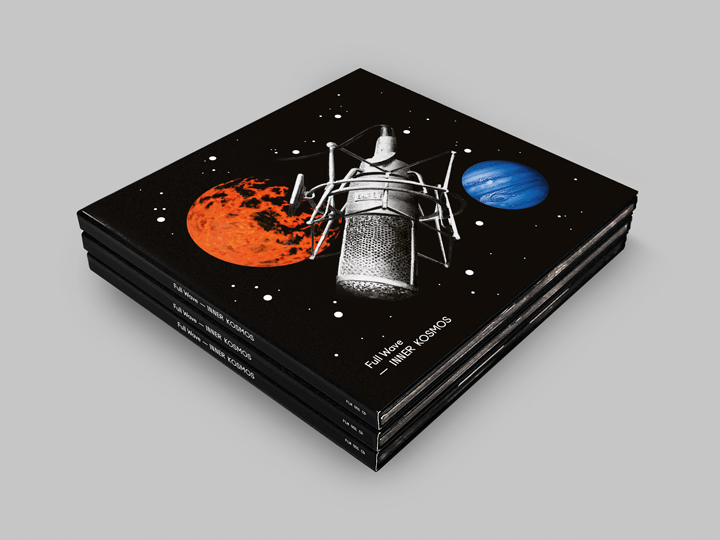 Everything in the designing concept revolves around the concept of cosmos (as the title, in fact): the outer space black background is the basis for a spaceship — illustrated as a microphone by Davide Comelli — that floats in the immensity of the universe. 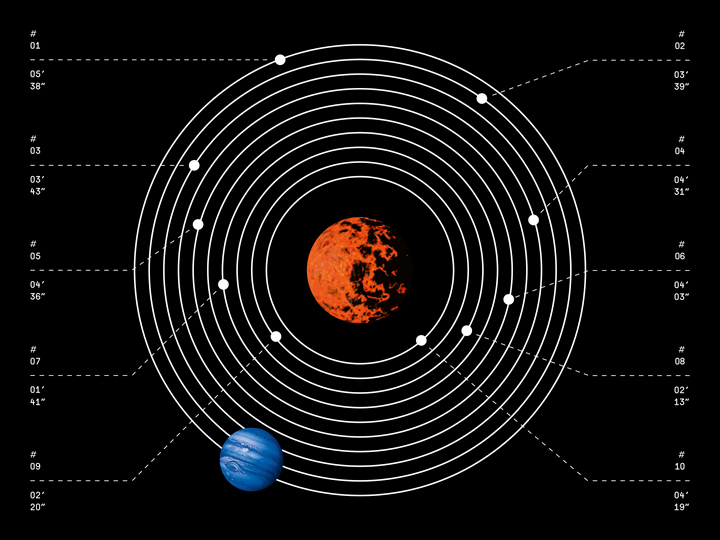 It overlaps on a celestial body (a fiery orange star) which is — de facto — the dominant element of the design. 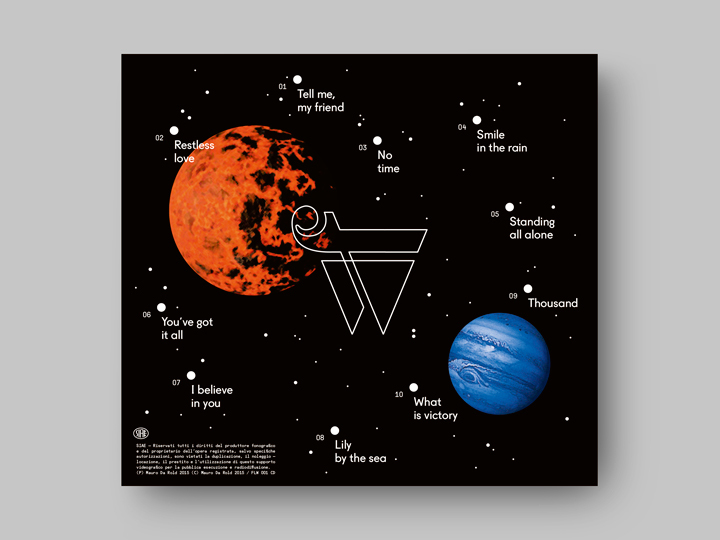 This represents the Full Wave musical entity: a source of heat and life, metaphorically comparable to the ‘hot’ impact that the band offers to the listener by playing this album. 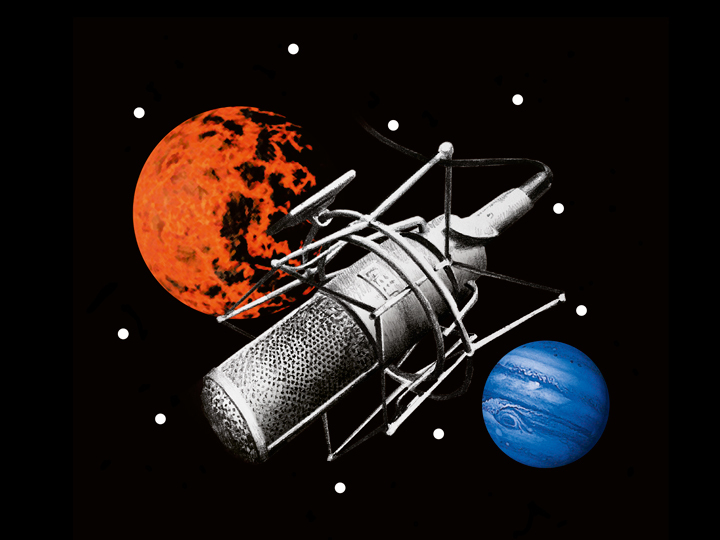 An orange star, a spatial center of gravity around which — as even the laws of physics — rotates a blue planet, representing the listener, as said before. 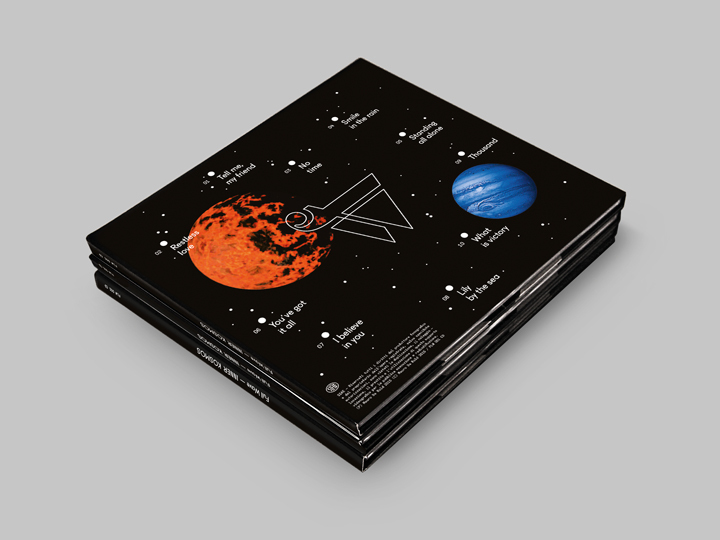 On the cover of the album there are other, more distant, stars — shining away into the black universe, stylized with white dots. 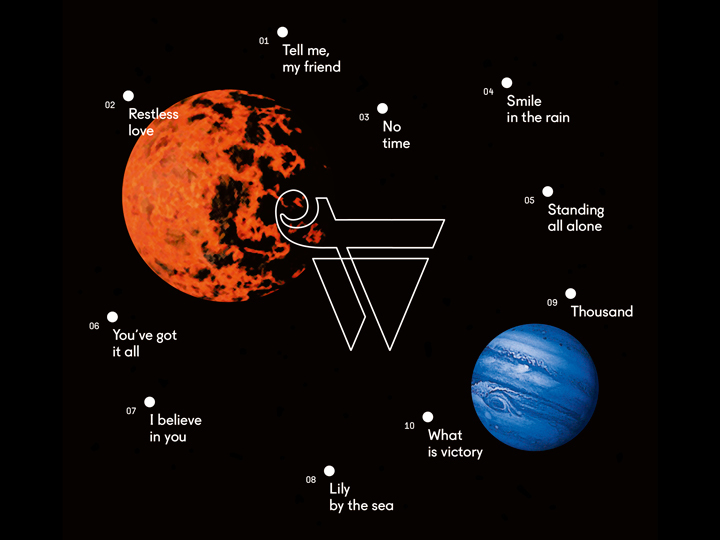 Ten bolder white dots/stars are more visible there, and these symbolize the ten tracks featured on the album (the tracks name are displayed in the rear cover, that is basically mirrors the front cover with only the replacement of the spaceship/microphone with the band’s logo). 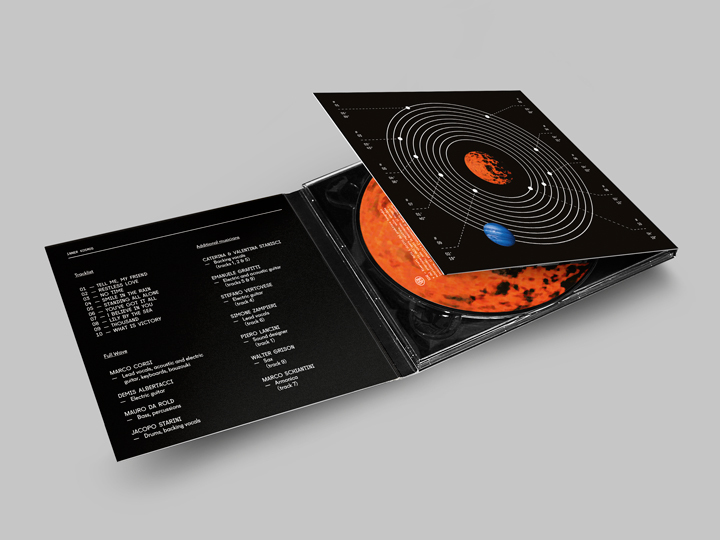 On the inside of the album’s packaging there is the blue planet orbiting around the orange star, creating here a kind of ‘solar system’ — designed to look like those that can be seen in a scientific volume. 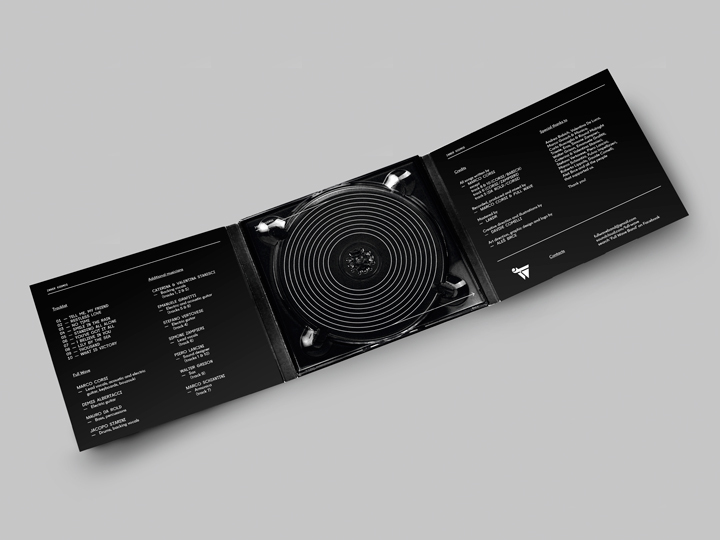 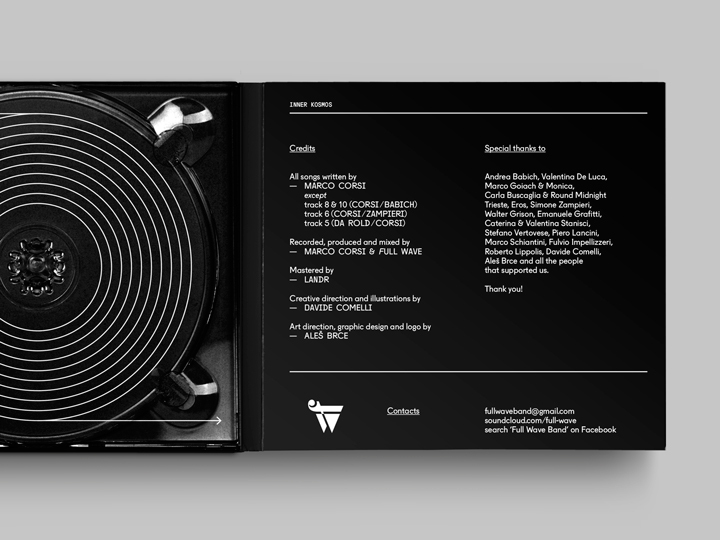 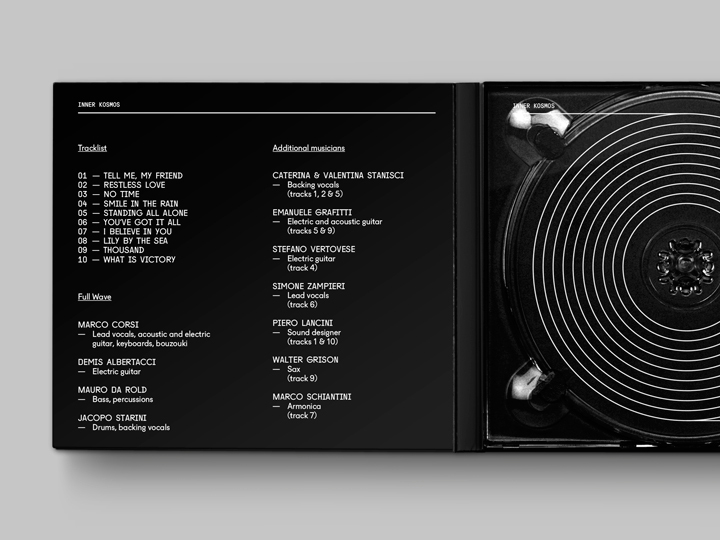 The ‘solar system’ is composed of ten orbits (representing the ten tracks on the disc) on which are placed ten white points, next to whom there are indicated the lenghts of the songs. 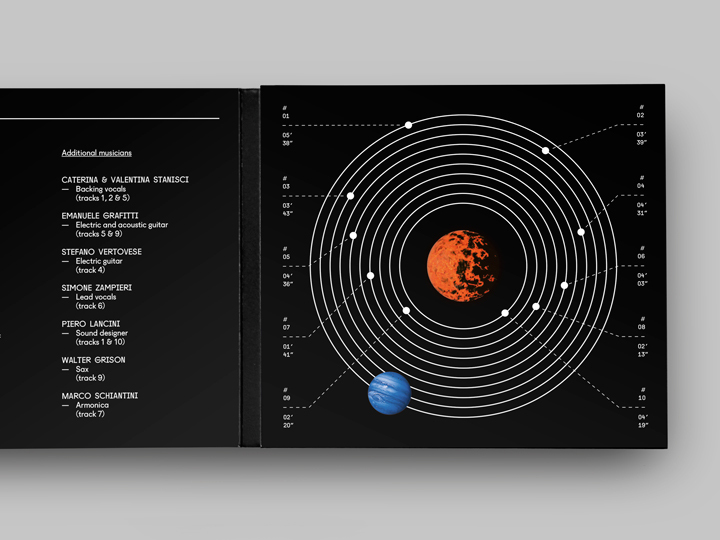 In this ‘musical solar system’ I played here also with the idea that the orbits are modeled visually just like the the ‘grooves’ of a vinyl record, making there a link between the concept of cosmos and the concept of music. 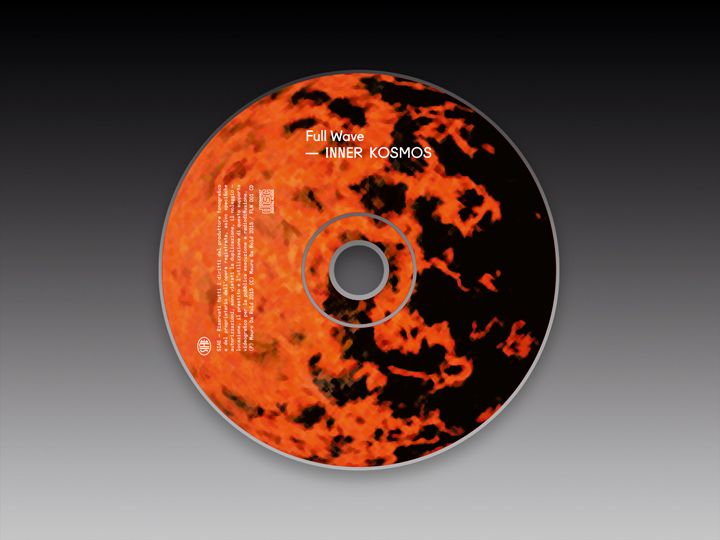 The ‘exploration’ of the ‘Inner Kosmos’ packaging ends with the discovery — on a central transparent plastic tray — of the CD, whose label is again the orange star, core of the Full Wave’s musical creativity.